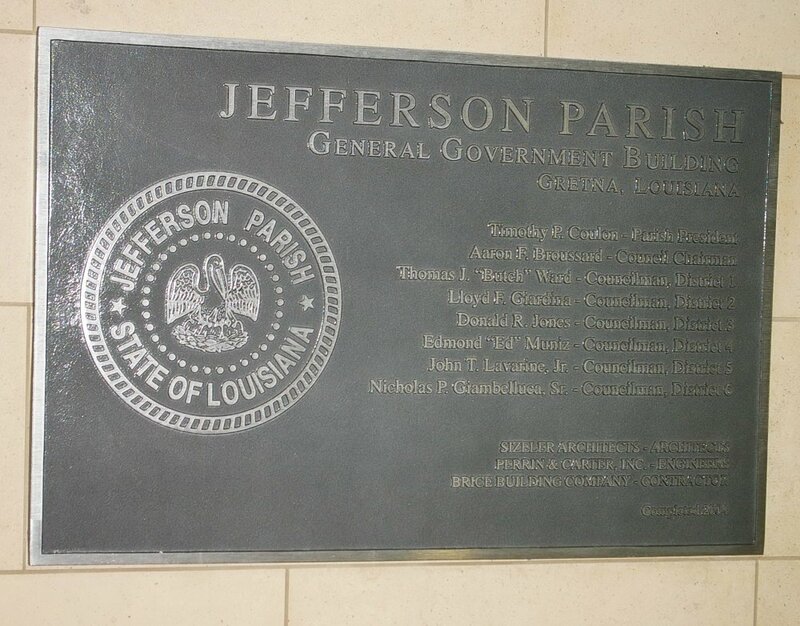 Jefferson Parish is named for Thomas Jefferson, who was President of the United States from 1801 to 1809. Contractor: F B Hull Construction Company. 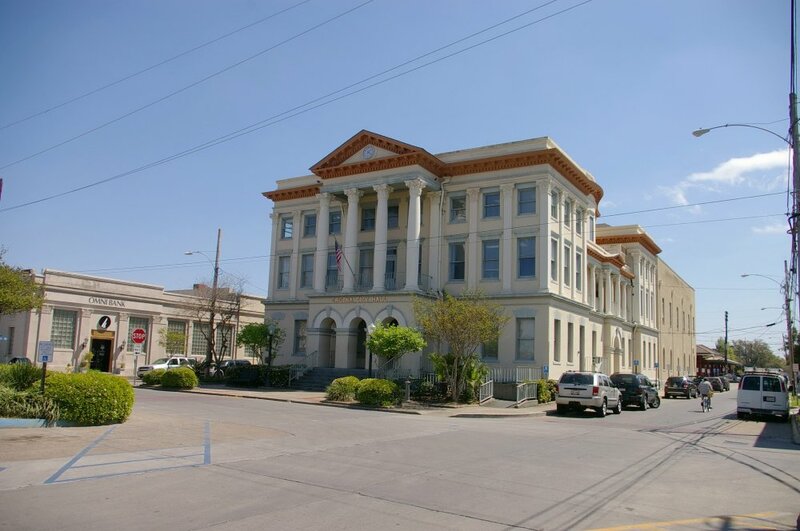 Description: The building faces north and is a three story buff colored brick and stone structure. The north front has a large portico with three arches and recessed entrance on the first story and four columns rising to a pediment at the roof line. A cornice runs between the first and second stories and below the flat roof line. 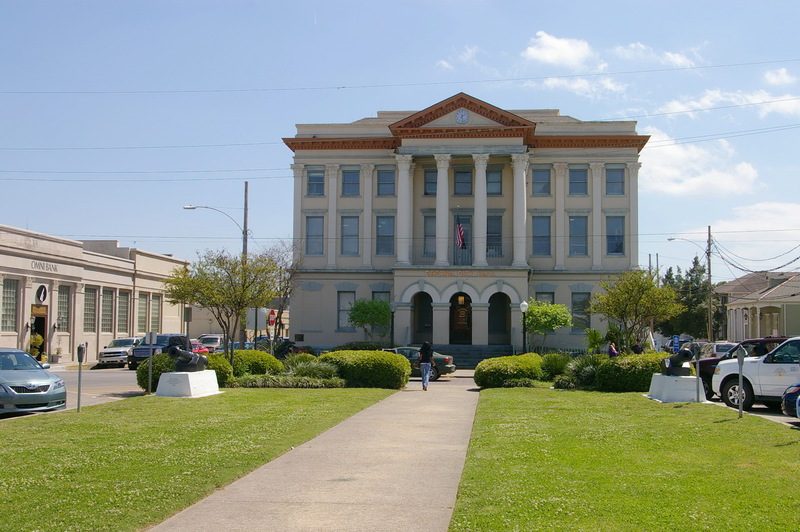 The building extends south with lower center section. The annex on the south side was built in 1929. 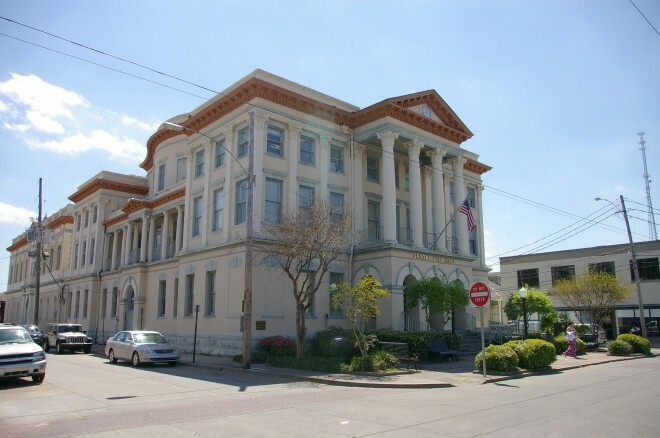 The building was the former Jefferson Parish Court House until 1956 and is now the City Hall. Description: The buildings face east and are glass, brick, concrete and steel structures. 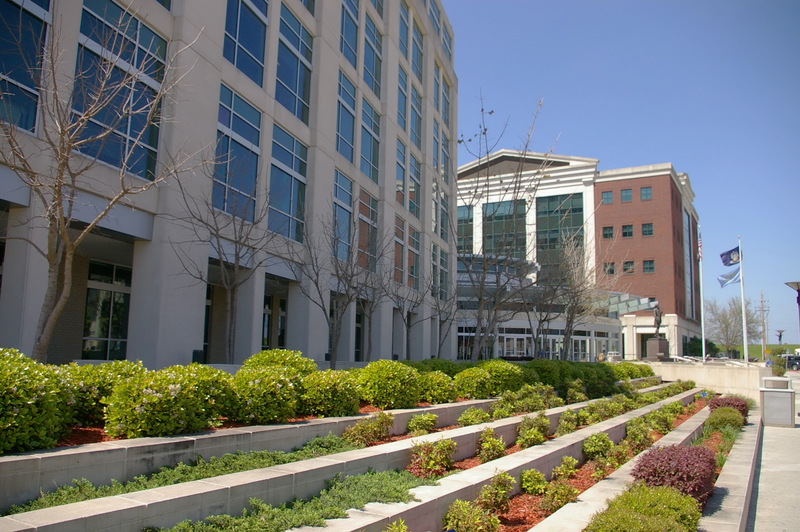 The complex consists of three buildings. The east front has a one story semi-circular entrance with a six story Administration Building on the south side, a five story rectangular Courthouse Building on the west side and a five story dark red colored brick District Attorney Building on the north side. 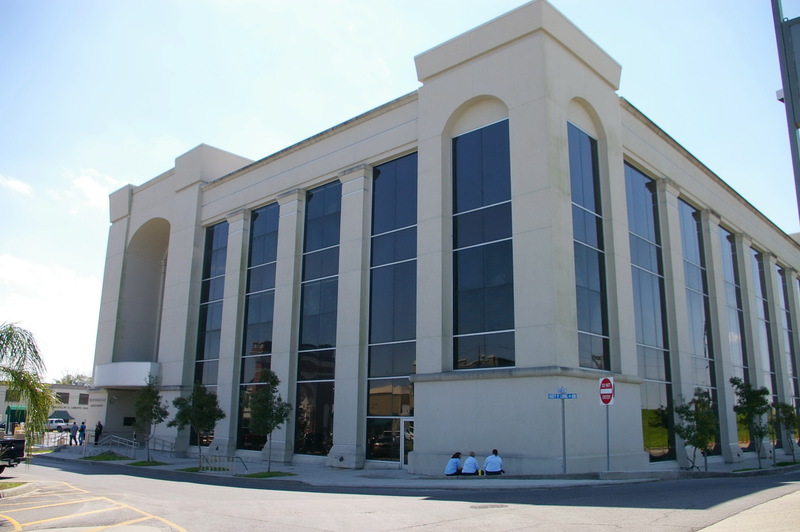 The south building is constructed of buff colored brick with horizontal windows. The roof line is flat. 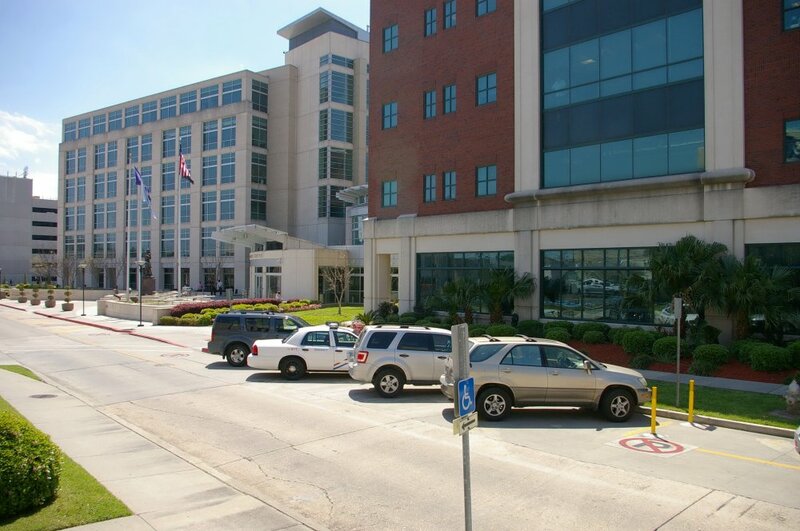 The west building is constructed of buff colored brick and has a flat roof line. 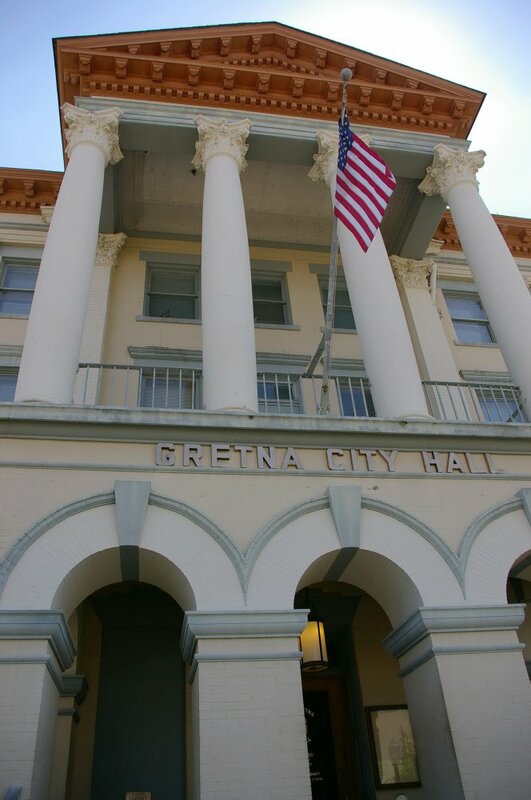 The building was originally constructed in 1969 as a two story structure and three more stories were constructed in the 1970’s. 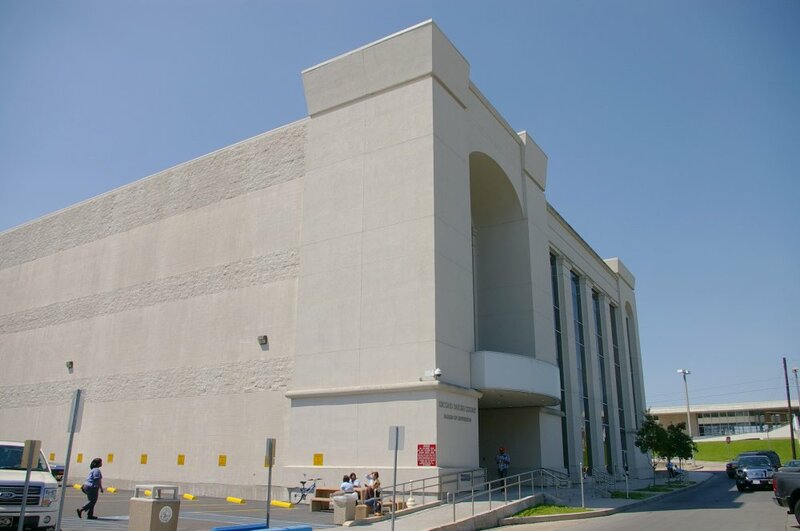 The building is the Thomas F Donelon Courthouse. 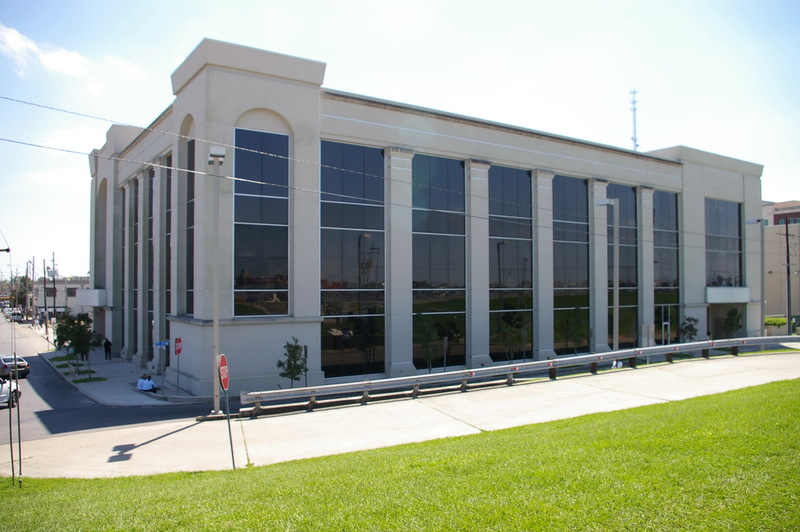 The north building has large glass paneled sections on the north and south side. The first story has a recessed porch. 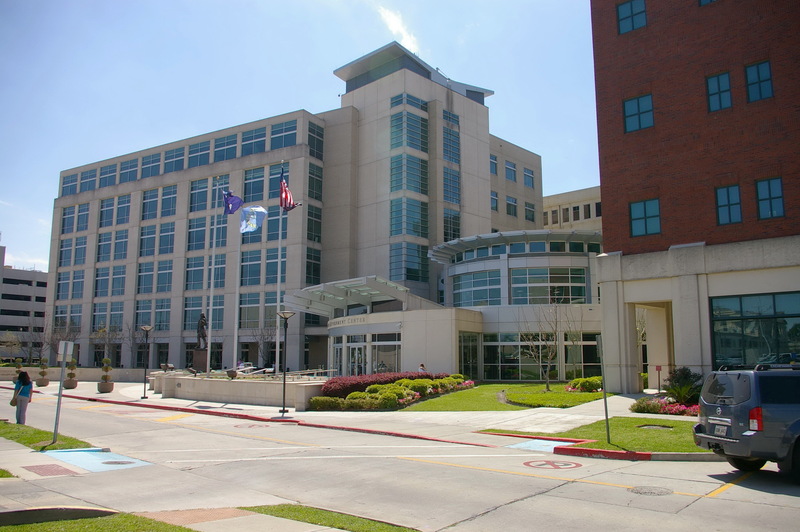 The complex is named as the Jefferson Parish Government Center. 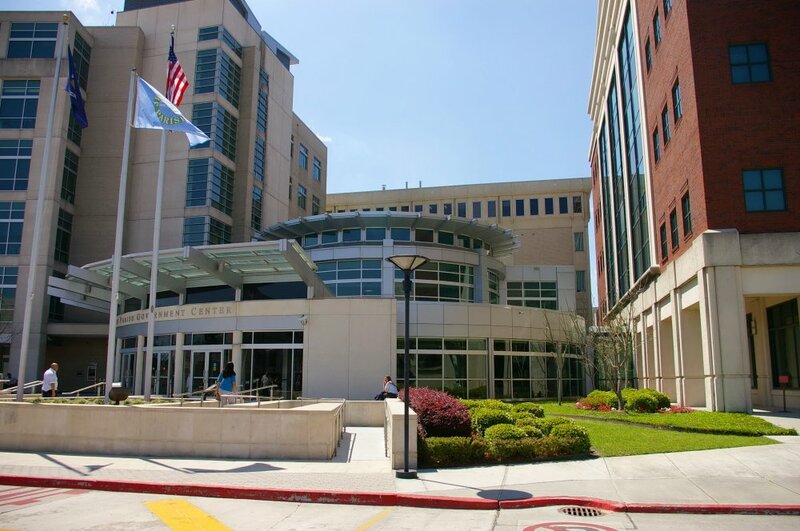 Note: The previous courthouse was designed by Claude Hooton and constructed by R D Farnsworth in 1958. 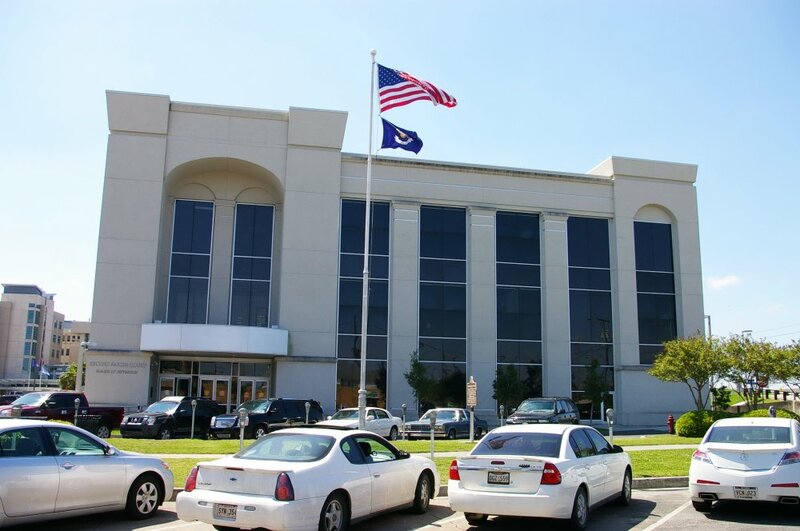 Contractor: Woodrow Wilson Construction Company, Inc. 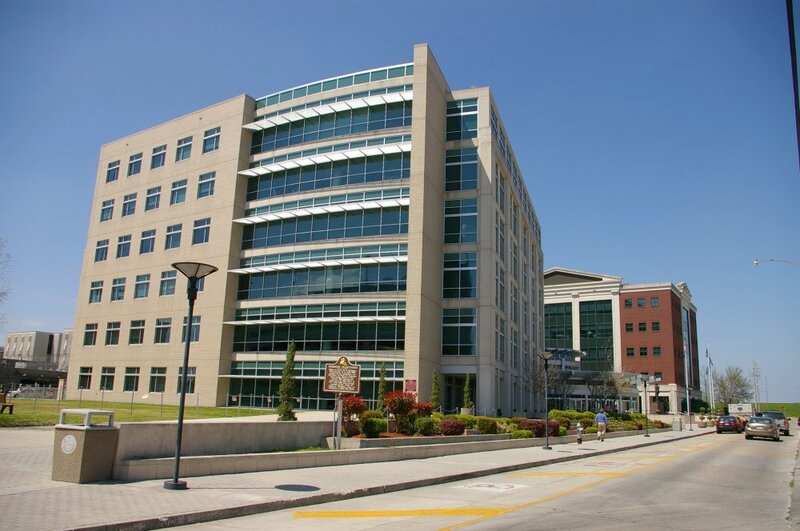 Description: The building faces east and is a three story glass, concrete and steel structure. The south section of the east front has an entrance on the first story with canopy above and a large recessed arch above. The windows are vertical. The roof line is flat. 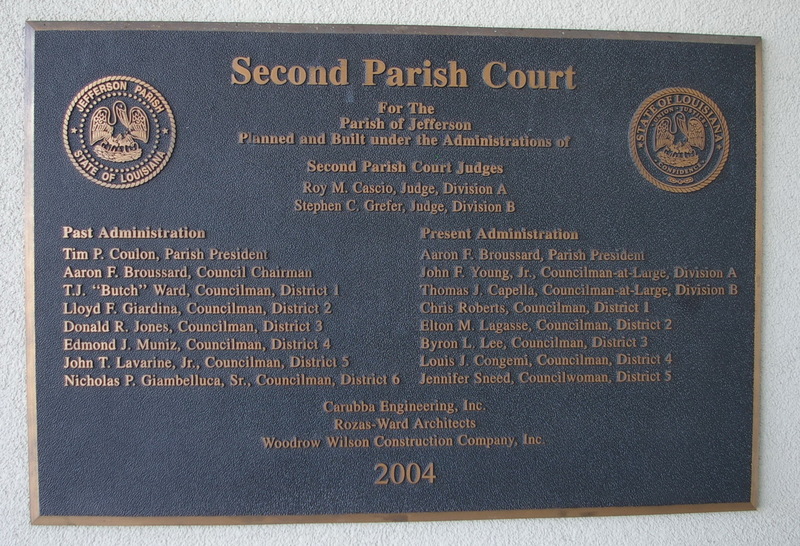 The building houses the Second Parish Court. Description: The building faces northwest and is a two story buff colored brick and stone structure. 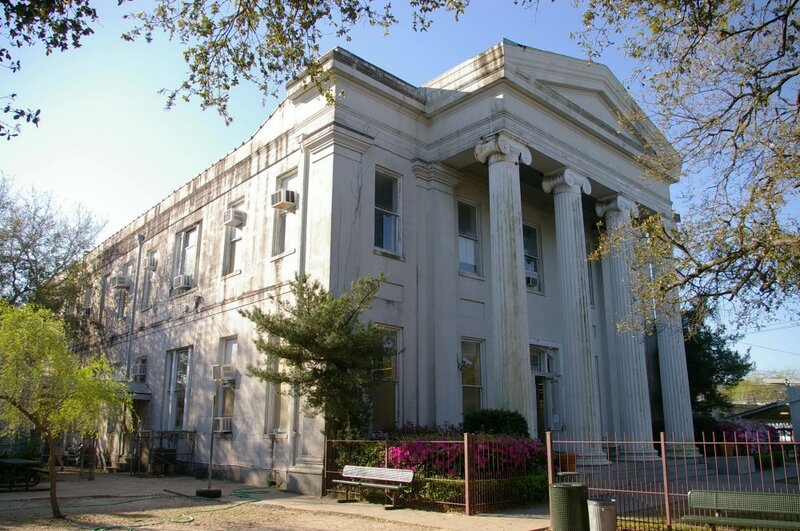 The northwest front has four high columns rising to a pediment above the roof line. 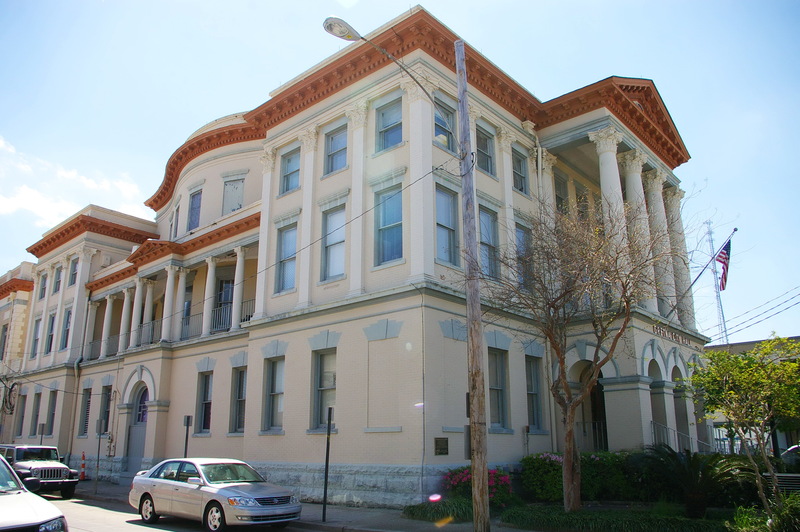 The building is now the Audubon Charter School. 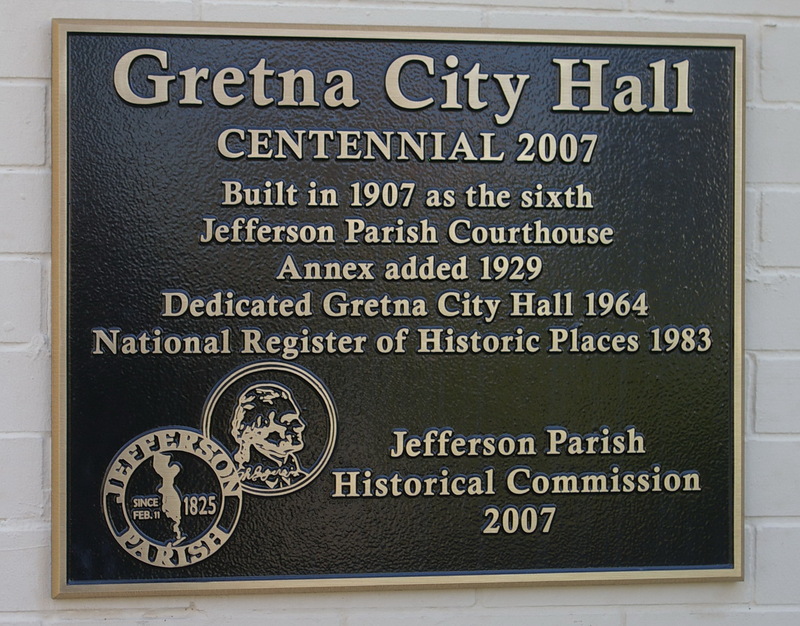 The Town of Carrollton was annexed by the City of New Orleans in 1874 and the county seat moved to Gretna.